As much as I enjoy Filipino cuisine, I normally don't choose to eat at Filipino restaurants. I guess it stemmed from the fact that my mom makes mean Filipino dishes at home. Another is how I've trained my mind to work for many years now -- that there's so much new, modern and mostly foreign gastronomic delights out there to explore, Filipino cuisine can wait. 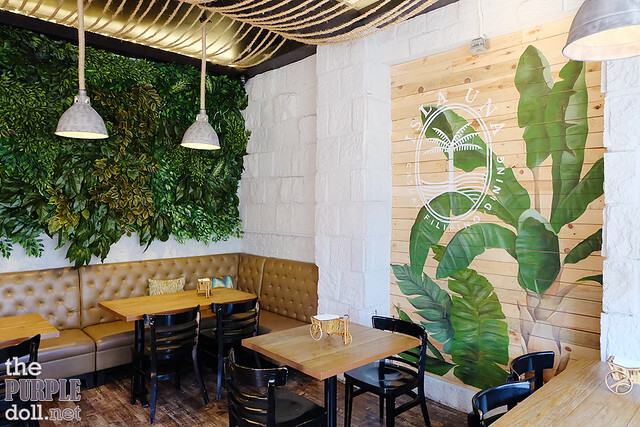 Luckily, my friend Berylle chanced upon this fairly new Filipino restaurant at City Golf Plaza in Pasig City, when we were looking for place to grab lunch from in the area. It's been years since the last time I found myself in the area, and more so, eating at a new Pinoy place. 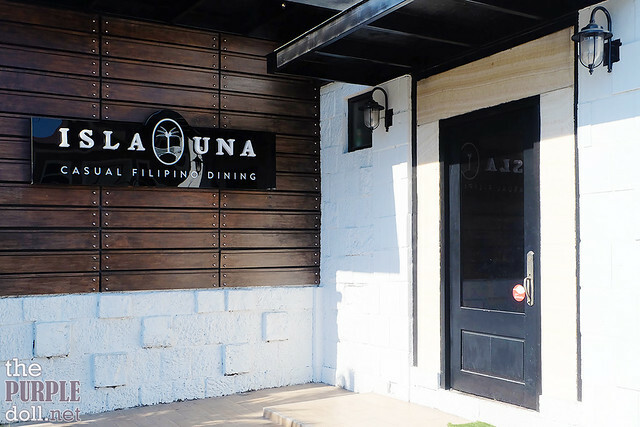 But unlike most Filipino restos, Isla Una doesn't exude that old, tired traditional vibe. 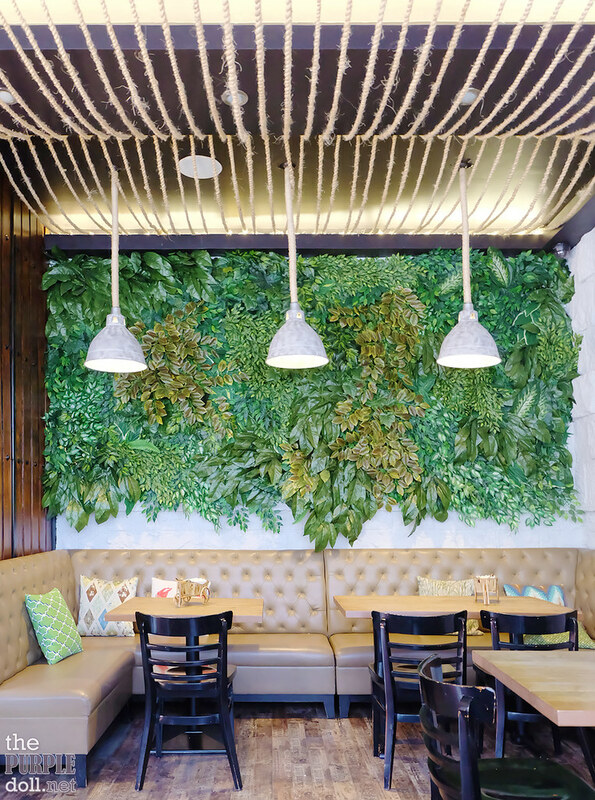 Instead, it feels modern and fresh, and can treat diners to an island beach restaurant feel. Even with the ambiance alone, one can already tell that Isla Una is far from traditional. 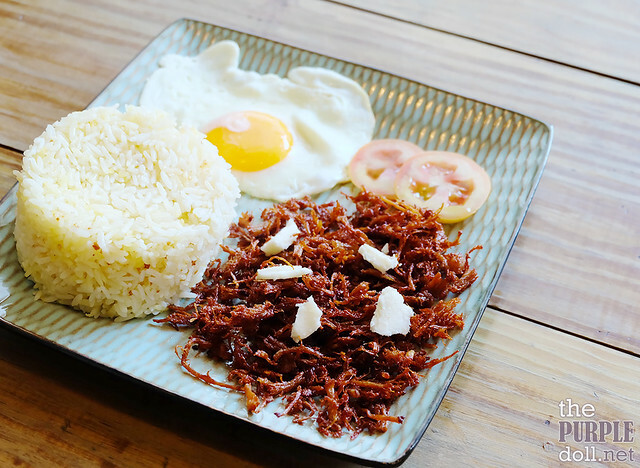 But a quick look at its menu will assure that the place is all about contemporary Pinoy goodness. 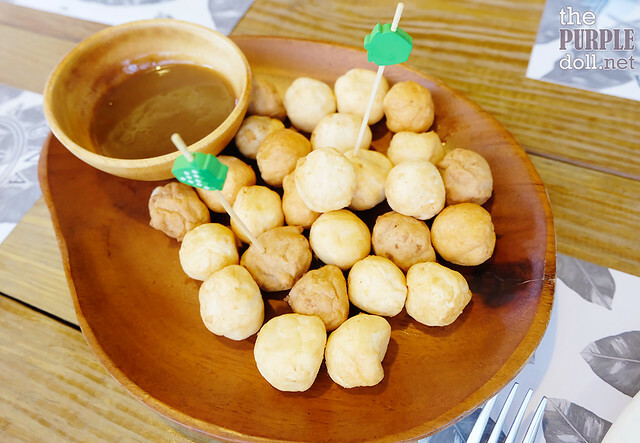 We started off our lunch session with the typical Pinoy street food -- fish balls, squid balls and kikiam, served with a sweet and sour vinegar-based dipping sauce. 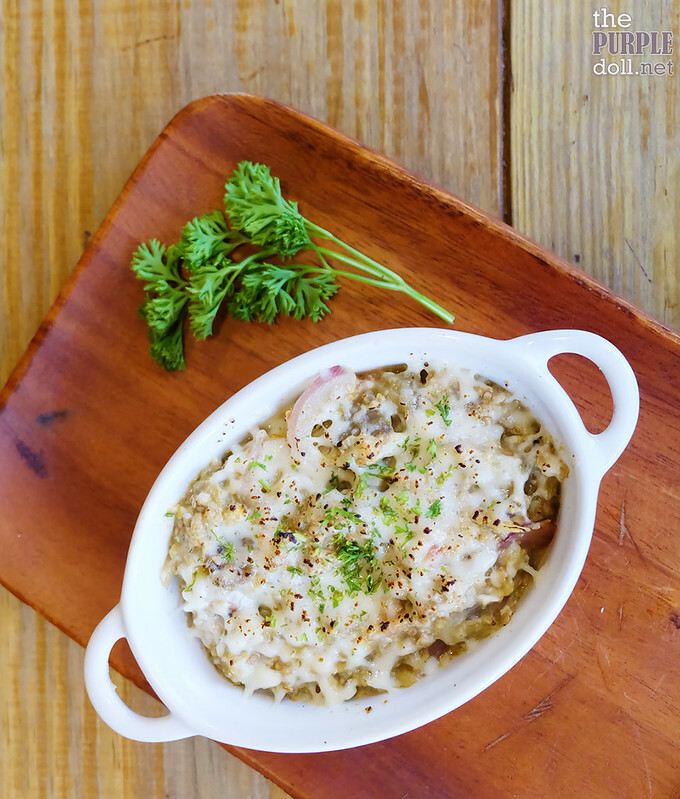 We also had this Ilocano eggplant and egg dish with an added twist of cheese. Normally, I'd stay clear of eggplants since they're nightshades, and I had a history with this family of vegetables. However, it somehow reminded me of moussaka (Greek baked eggplant dish) when it was first served, so I just had to try it. （⌒▽⌒ゞ And good thing I did as it's actually my favorite among the dishes we had. Since we were quite in a hurry, we thought we'd just avail their Lunch Specials. They had a good number of choices, adobo flakes, tuyosilog, sisig rice, steak rice, pares, to name a few. My choice for that afternoon was the adobo flakes. It's been a while since the last time I had one, so I was happy to see it on the menu. It came with a perfectly fried egg, a cup of garlic rice, and a vinegar-based dipping sauce. Simple, but yum! I was actually thinking of getting the sisig set at first. Luckily, one of our companions did. It's sinful and fatty. Not something I'd order when watching my blood pressure. I think this is better to order from their regular menu. Being served on a sizzling plate can help lessen the fatty feel of the dish, or so I believe. 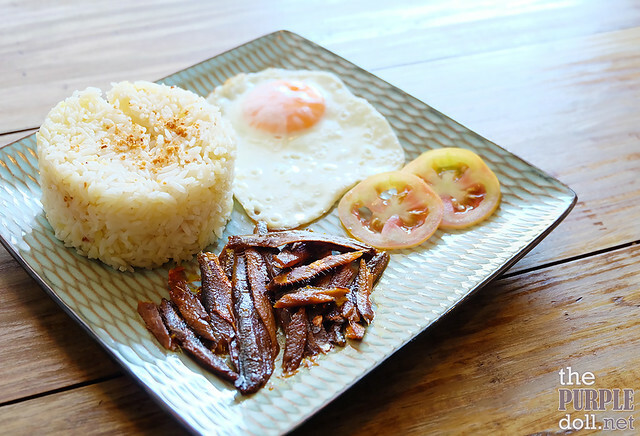 The boyf, being a lover of everything salty, ordered this tuyo set, which came with the same fried egg and garlic rice like the other lunch specials. This may be simple, but a spoonful of garlic rice with fried tuyo dipped in spicy vinegar can already leave the boyf a happy man. Berylle on the other hand, ordered for pares, which is a beef brisket stew. 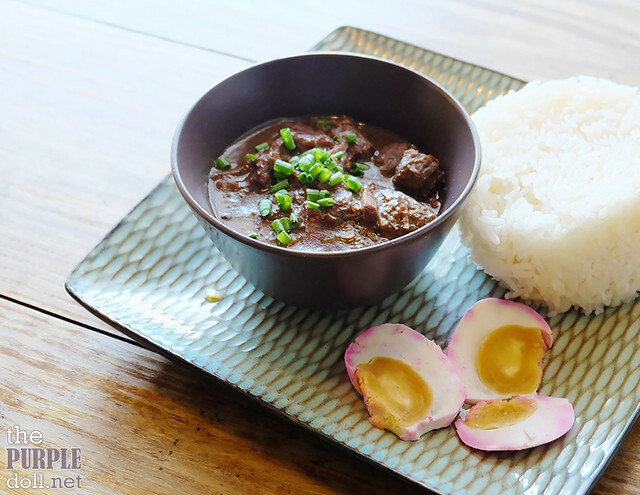 Just like how I remember my last good bowl of pares, this serving had tender and succulent cubed beef with just the right balance of sweet and savory. My friend would've preferred her pares a little bit sweeter though, but it was already perfect for me. Oh, and unlike the other lunch special items, this came with plain white rice and salted egg slices instead. 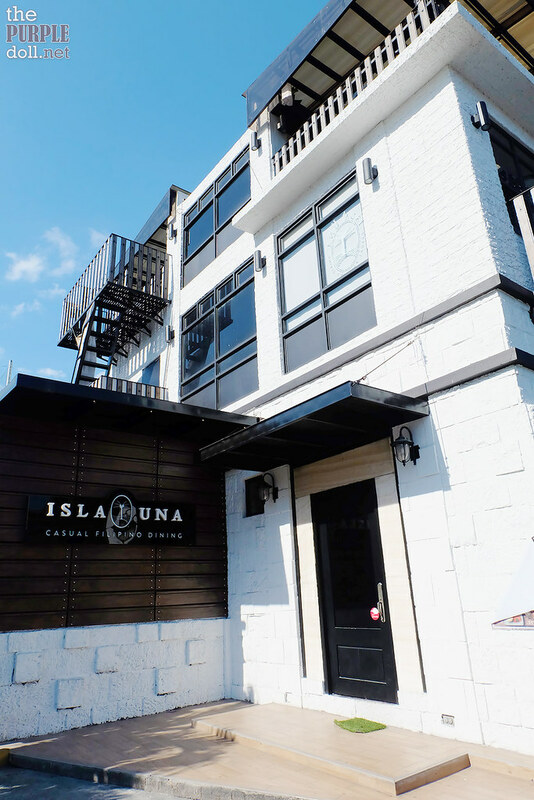 Even though I usually shy away from Filipino restaurants, I actually am excited to go back to Isla Una. 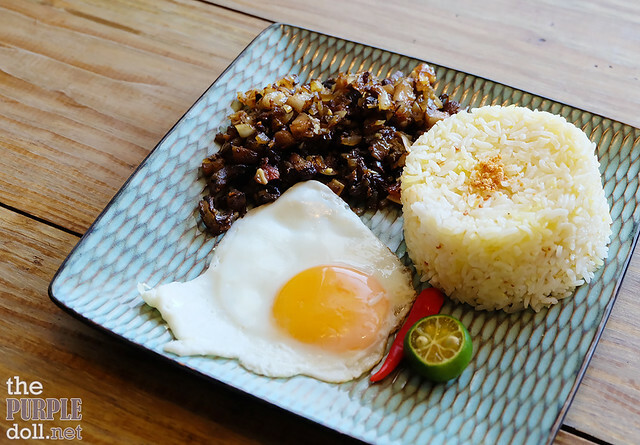 The dishes we got to try were pretty good, but I know we barely scratched the surface, and there's more to this contemporary Filipino restaurant's menu. The design and ambiance of the place also has a very welcoming vibe, which makes me want to stay longer. And based from the things I've read online, they even have a 2nd floor, which we sadly failed to check out during our visit. If there's one thing I would have to pick on, it'd be the waiting time. We had to wait longer than usual for our lunch sets, as well as the bill. I'm interested with the Poqui Poqui dish... Their tusok tusok though is overpriced ah. City golf has taken off around the world. Why? Because our busy lifestyles have demanded it. Most of us don't have a spare 4-5 hours to play a full round of golf plus travel to and from the golf course. Selecting the proper golf ball is as important as having a good golf swing. Golf balls are designed to meet each players skill level. Finding a good golf ball to fit your skill level and style may take time but the rewards are worth the effort. Another #loveSnR experience this April! Cool down with #loveSnR this summer! M&M’S® Elections 2016: Vote for your Candydate! Kojie San: Ready to #BringYourSkinToLight?